I love the Build a Bear Stuff. Until last year's convention, I hadn't really had much to experience with the whole concept. My nephews each have one or two, but other than that, I haven't been that exposed to these cuties! 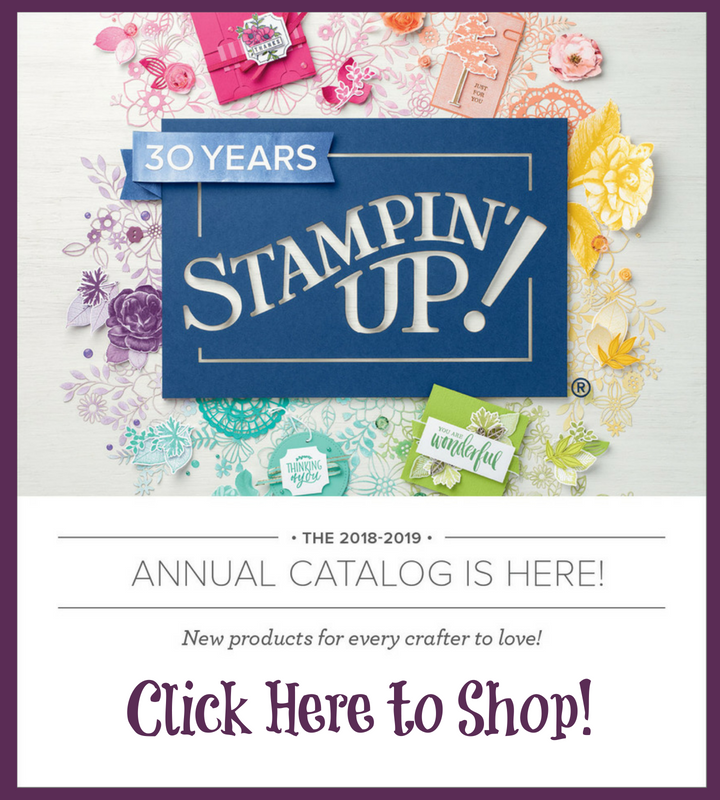 Even cooler is that Build a Bear Workshop and Stampin' Up! 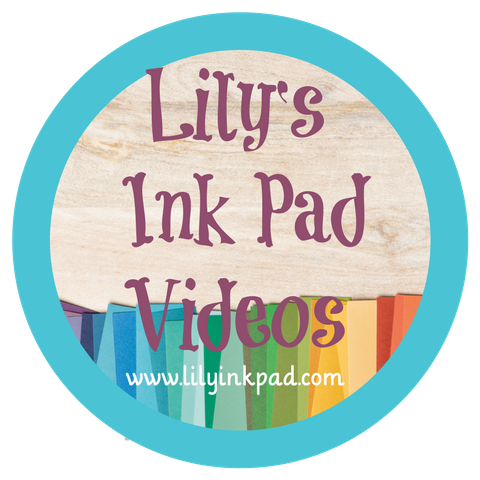 have not only partnered for cool products for crafters to use, but there is also a cool way to get a Build a Bear Workshop coupons! For every $20 spent on products from the Build-A-Bear Workshop Collection, receive a coupon (item 121105) for $5 off a $25 purchase at any Build-A-Bear Workshop store. 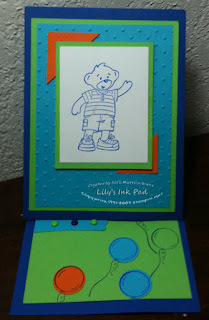 The coupon includes $5 off a $25 purchase, 1000 free Bear Bills web code and unique codes for Buildabearville.com. 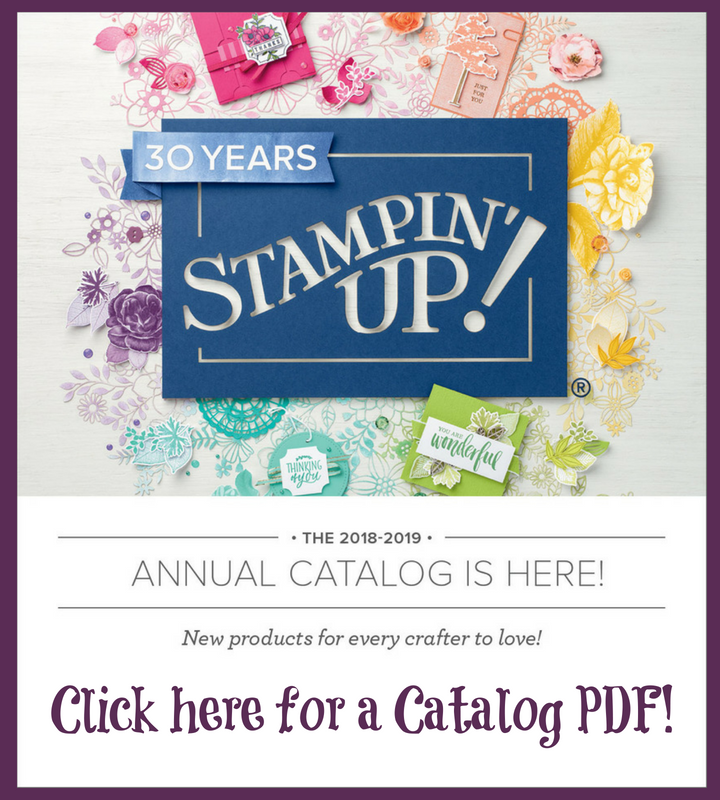 Check out the Occasions Mini Catalog pages 38 to 40 for the products! The easel card is very easy to make. Cut a 4 1/4 by 11" card stock base. Fold at 5 1/2" and 2 1/4". 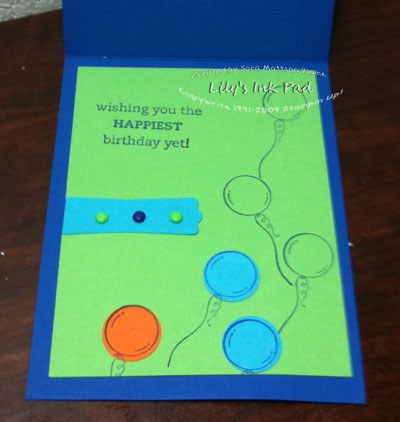 Cut another card front that is 5 1/2" by 4 1/4 and adhere to the short flap of the first card. This allows it to stand.